If you have spent a lot of time in any major cities across the United States, you have realized that parking is always at a premium. While not too long ago this may have been true just for the downtown core, it is now also true for malls, suburban areas, sporting complexes, public buildings and even private facilities. To help organize, manage, and try to maintain safety in these parking lots, one of the simplest options is to invest in some well-designed parking lot signs. All too often the signs in a lot are too small or poorly positioned, and they don’t have any information on the sign that really helps the driver. By choosing custom parking lot signs, you can help drivers to maneuver easily through the lot, even in complicated parking garages. You can also choose colors, fonts, information, graphics, and all other components of the signs to uniquely identify your lot. This is a great idea if you have multiple lots across a city, the state, or even nationally as it helps drivers to quickly identify a great parking facility no matter where they may be. Selecting icons or graphics for the signage in your lot is a big consideration. Not all general traffic signs depict what is going on in a parking lot, and using icons in addition to text can help drivers quickly understand anything you need them to know. With our experience in designing signage for parking lots, we can incorporate your ideas, or we can suggest some great options. You will always have the final decision and, through our in-house design and fabrication, you will get just what you want. 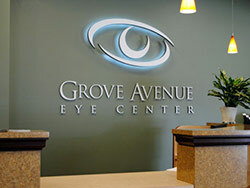 We always recommend high contrast between the background color of the signs and the text and graphics. This is particularly important in outdoor lots that will be used both day and night, as you want the signs clearly visible around the clock. Additionally, we can provide information as to the best signs based on the specific locations for the signage. Larger signs are much easier to see for drivers, and overhead large signs are perfect for identifying special areas or sections of the lot itself. Last but not least, it will be important to have clear parking lot signs if you have reserved spots or even reserved levels. These need to be distinctive and easy to see, as this will certainly help those new to the lot to quickly find the right place to park while avoiding those reserved areas. For help with your parking lot sign project, call us at (805) 641-1387, or contact us online.